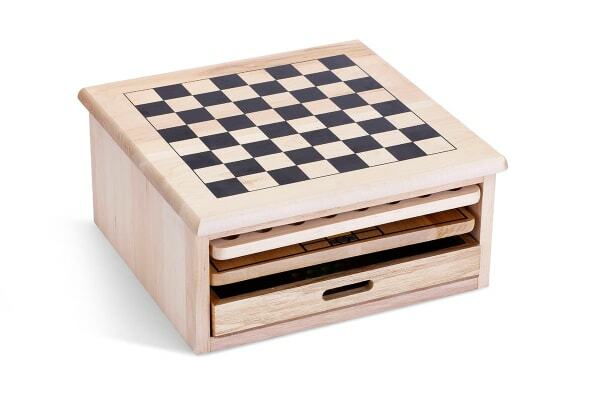 This stylish wooden box with all your favourite board games is perfect for family fun! Bring out the Kogan 10-in-1 Games Table on rainy evenings when you’re stuck indoors and watch your family bond over these classic board games. This pack is also a great gift for both children and adults alike! With a wide variety of games to choose from, no one’s ever going to complain about playing the same old game again and again! 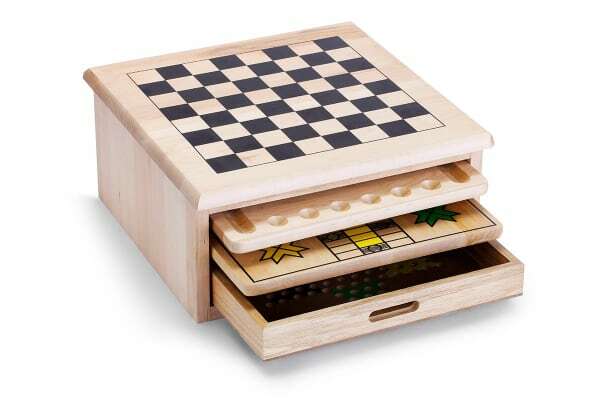 Chinese Checkers, Chess, Tic-tac-toe, Snakes & Ladders, Pass out, Solitaire, Chess, Backgammon, and Parcheesi – these classic games can entertain everyone from 8 to 80! Store and carry in style! The wooden storage box is so good-looking that you might consider keeping it perched atop a side table to add style to any room. The boards themselves slide easily and smoothly into the box, so you’re always sure of finding the games and the accessories all in one place. Storing so many board games together was never easier! Bought the games table for my grandson. Much better quality than the ones I had previouly looked at in the shops.